While I appreciate non-candy Easter basket ideas and Christian Easter ideas, my kids obviously want candy in their Easter baskets. Who am I kidding, I honestly want to buy candy too – then I can sneak a few when they aren’t looking. 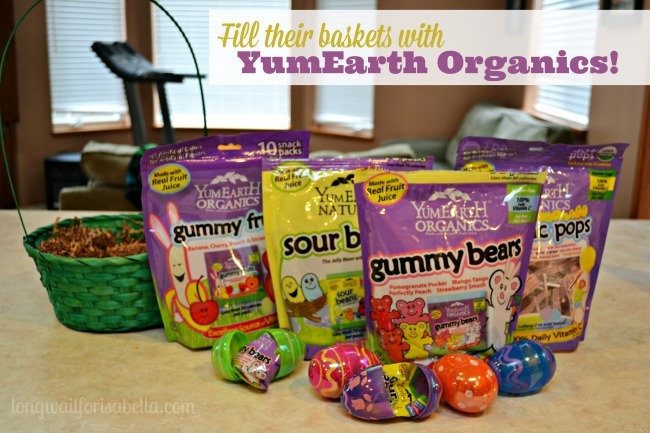 So when YumEarth asks me to review their specially marked packages of Easter candy and fruit treats, I couldn’t pass it up. I mean, come on? I’ve got will power but not when it comes to YumEarth. So my only real problem is trying to hide all this from the kids! Well, honestly, I don’t want to get into it either (but I do!). The snack packs fit nicely into my plastic Easter eggs too! 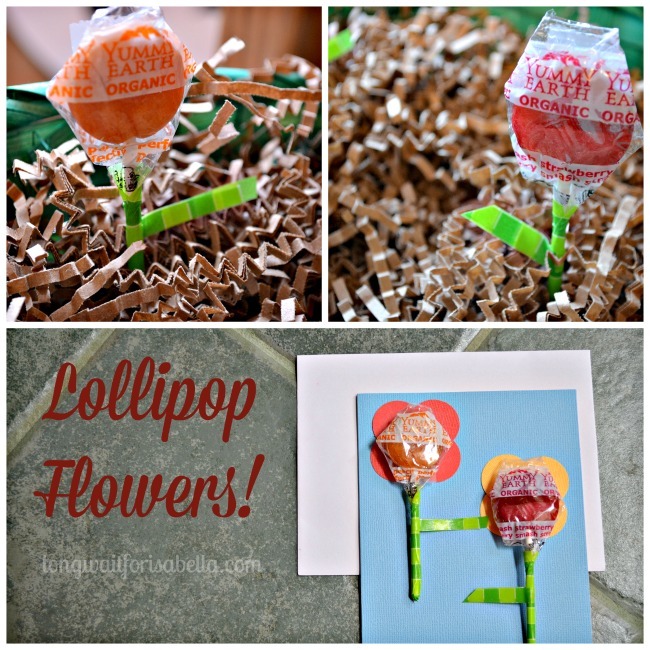 I did open the YumEarth Organic Pops to make a couple lollipop flowers. They will look so cute in their Easter baskets and both of my children love their organic pops. 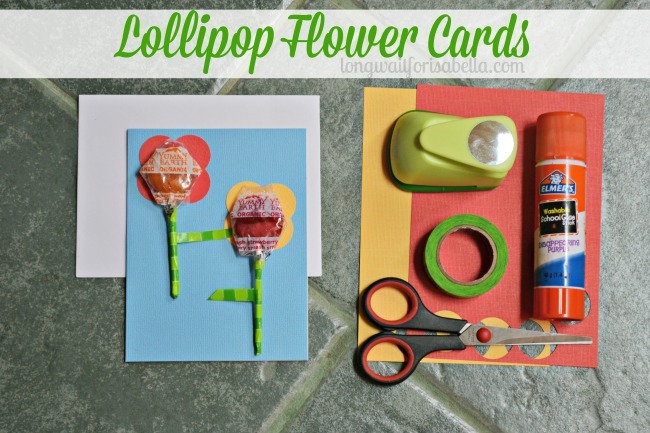 Then I thought, it would be cute to make lollipop flower cards. 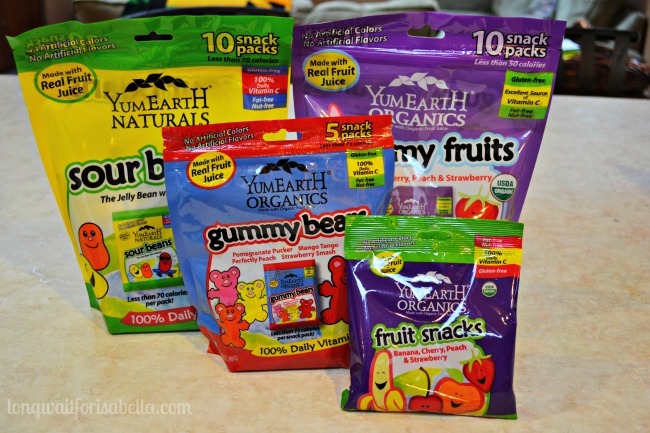 YumEarth is the #1 organic candy company in the United States and has international distribution in over 30 countries. YumEarth is dedicated to making great tasting treats with all-natural ingredients, no artificial colors, no artificial flavors, and no major allergens, such as gluten, nuts and dairy. 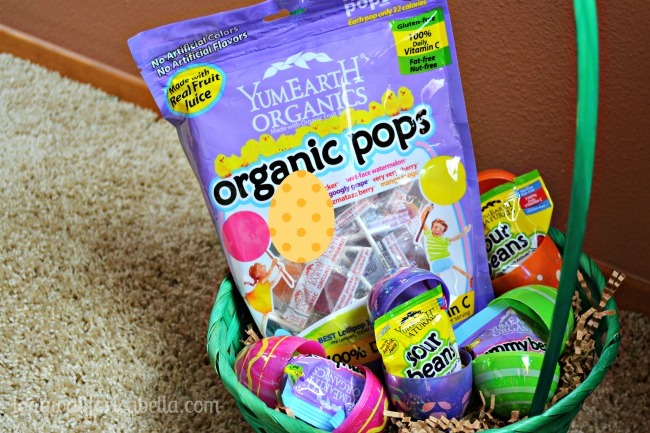 YumEarth offers over 20 unique flavors in their YumEarth Organics Lollipops, Gummy Bears, Gummy Worms, Fruit Snacks, Candy Drops, and YumEarth Naturals Sour Beans. Disclosure: I was sent the above product for review. No other compensation was given. All opinions are mine alone. The Sour Beans are my favorite two. I have only sneaked two bags all weekend, so I am a bit proud of myself. And I do not know who to fix that banner from scrolling to fixed. I need to learn more about coding. For sure. I’ve never tried YumEarth products. I would love to try the gummy bears and the sour beans! 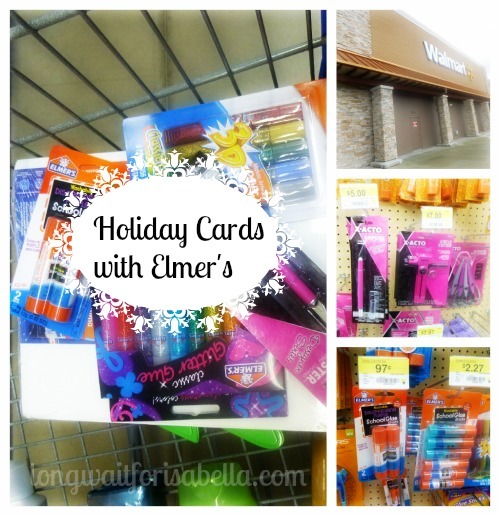 Please change my enter another giveaway point entry to Simply Potatoes. I hit submit before I went to the page for the $50 gift card. 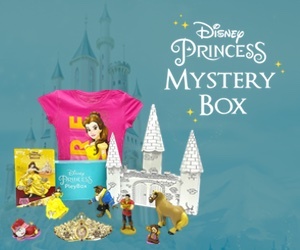 I couldn’t find that giveaway on their page or any entry form anywhere. Thank you.